Lungi Ngidi stakes his claim for national selection with a fiery comeback for the Titans, taking 9-83 to seal the first win in 13 Sunfoil games. Michael Cohen took his first franchise five-for in Cobras whites at Newlands, to continue his great run of form. 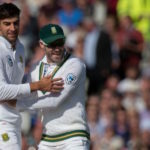 Faf du Plessis said that Duanne Olivier was the Proteas’ best bowler on day three, which saw them seal the series against Bangladesh 2-0 with an innings and a 254-run win in Bloemfontein. 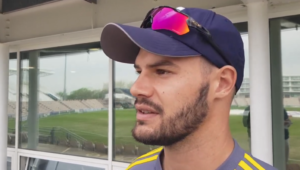 Jon-Jon Smuts took two four-fors against the Cobras in a determined attempt to pull a victory out of the hat in round two of the Sunfoil Series. 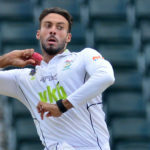 Shadley van Schalkwyk has set the bar high in the opening round of the Sunfoil Series, taking eight wickets in the Knights’ opening clash against the Cobras. The Proteas, facing six ODIs against India next February, would do well to note the name Kuldeep Yadav: he became the first Indian to take an ODI hat-trick in 26 years. Shadley van Schalkwyk tore the heart out of the Cobras, taking three wickets in seven balls. 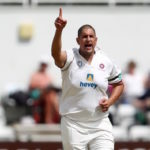 Rory Kleinveldt’s five-for on day two of Northamptonshire’s County Championship clash against Sussex helped the hosts set up a six-wicket win on Friday. 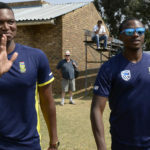 Junior Dala’s three strikes on day four of the first unofficial Test saw India A bowled out for 211, as SA A claimed a 235-run victory in Pretoria on Tuesday. 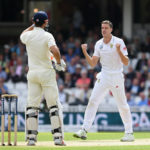 Morne Morkel marked his return to Test cricket by winning the South African Man of the Series for his performance during the Proteas’ defeat in England. Morne Morkel’s double dismissal of Alastair Cook in the third Test means that no other bowler has dismissed him more times in his career. 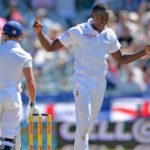 Kagiso Rabada will be back for the third Test at The Oval, to take on the side he’s enjoyed the most success against. The Proteas’ first World Cup semi-final appearance in 17 years was propelled by a lethal bowling attack. Dane van Niekerk could take the Proteas a step closer to the semi-finals if she continues her impressive form against Sri Lanka on Wednesday. Marizanne Kapp’s devastating spell of new-ball bowling gave the Proteas Women the start they needed to skittle West Indies for 48 on Sunday.